Zett transforms and attacks Right. They fight. Meanwhile, Gritta has finished flipping all the switches she needs and Castle Terminal begins moving. Mork and Nero can’t believe it. They try to go stop her, but Akira arrives to stop them. 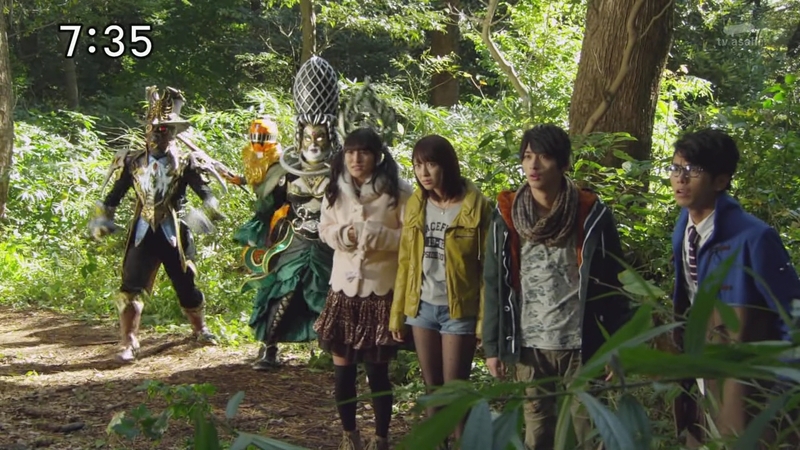 Akira, Mork and Nero take their fight off the Castle as Tokatti, Mio, Hikari and Kagura realize Subarugahama is returning to the surface. The sun rises and Tokatti-tachi are walking through the forest, happy to be in Subarugahama. But their peaceful relief is pierced by Right and Zett blowing each up. They are shocked to see Right has turned black. Akira, Mork and Nero arrive as well just as Right and Akira send huge blasts at each other, resulting in a huge wave of darkness. 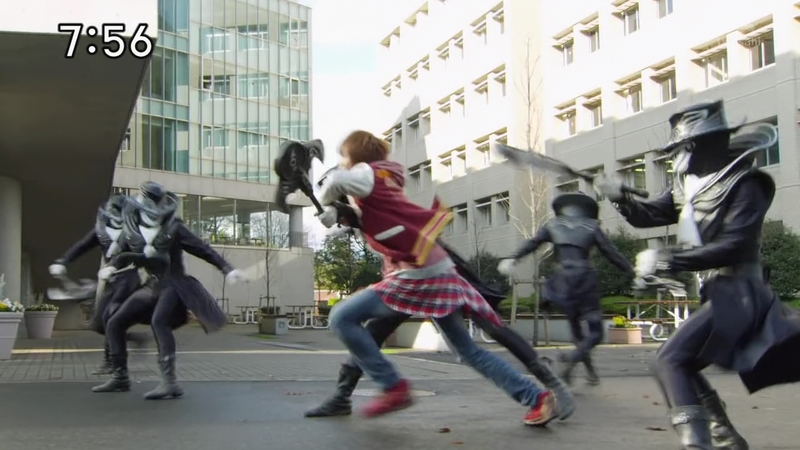 Mork and Nero shield Zett and whisk him away from Right’s attacks. Once they leave, Right dehenshins and collapses to the ground. A cloud of darkness rises from him and Akira stops the others from getting close. That is Zett’s darkness, Akira says. He takes Right over his shoulder. An unconscious Right is at the night of the festival. He and the others are signing “Twinkle Twinkle” at the Secret Base when the darkness suddenly arrives. They take each other’s hands. But as the darkness spreads, Right runs into it, yelling for it to stop. The others call for him as the darkness engulfs them. Still holding hands, Hikari reaches out and is able to grab Right’s. But a hand reaches out from the darkness and grabs Right’s hand. 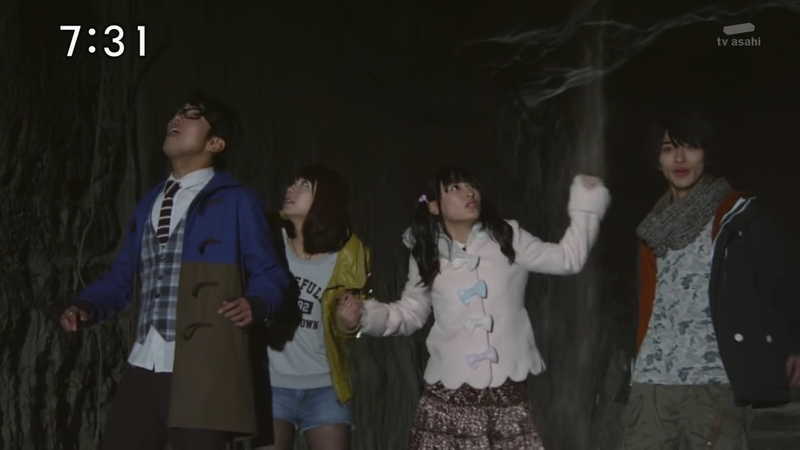 The little ToQgers are flung from the darkness, but Right is sent in another direction. Everyone is back on the Resshas. Wagon gives Right some water as the President goes over what Right has just remembered. 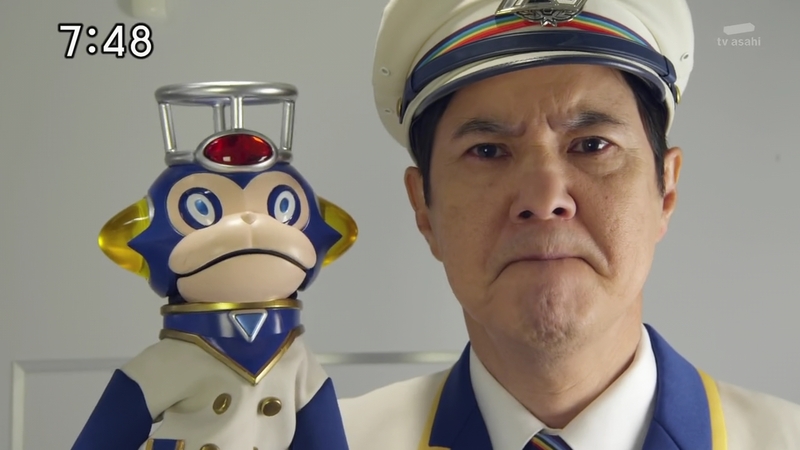 The President has a theory: Right is Zett. In other words, Zett is Right. What?! The President says when they escaped Subarugahama, Right became an adult using Zett’s darkness. Which is why he was bounced off the Rainbow Line and woke up on the Shadow Line. 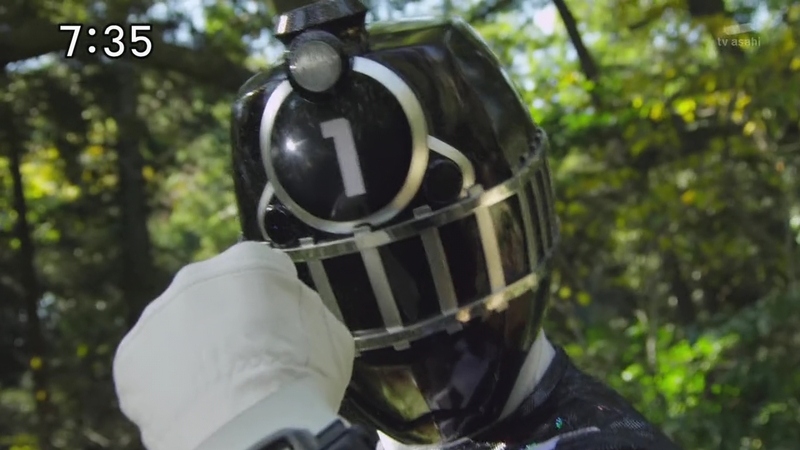 The darkness has since grown inside of Right and that likely has resonated with Zett’s darkness, resulting in Dark ToQ-1gou. On the other end, Zett became aware of Right’s powerful Imagination in the form of sparkles which then resonated with Right. Both Right and Zett started carrying their very own antithesis inside of them. This might also be the cause of their unexpected growth. Likewise, the sparkles have probably had an effect on the Shadow Line as well. President says he’ll see if there’s anything they can do as this is the first time this has ever happened. Meanwhile, Zett, Nero and Mork have caught up with Castle Terminal. They enter and Nero vows to take care of Gritta, but Zett says he will. Zett finds Gritta in the control room and asks what she thinks she’s doing here. Gritta explains she is trying to return him to the deep darkness. But she is not seeking revenge. She says she feels sorry for him. 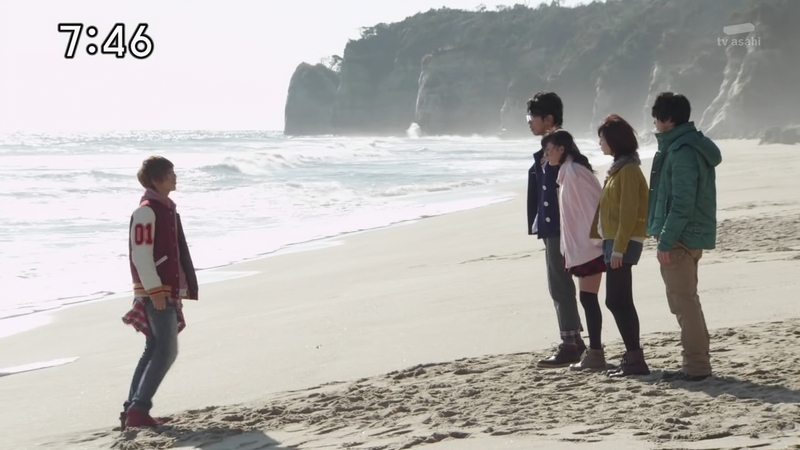 Tokatti, Mio, Hikari and Kagura are looking out over the waters from the Subarugahama coast, taking in the feeling that their town really is back. Mio says the smell of salt in the air feels so nostalgic. 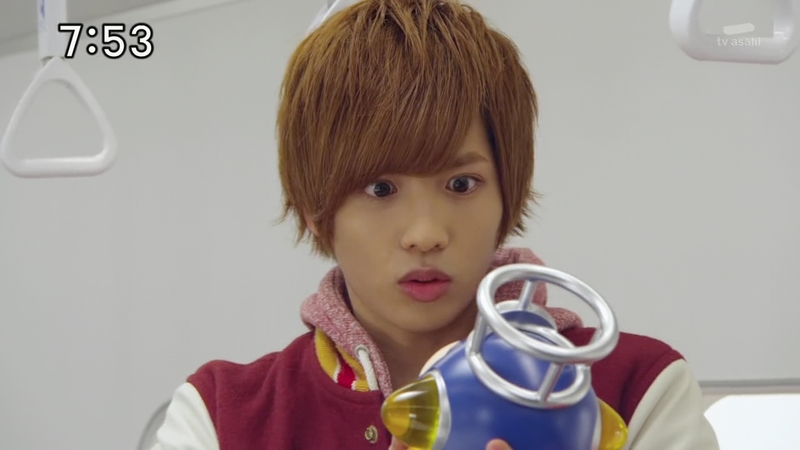 Mio can’t even believe it. She feels happy, but at the same time, she is worried about Right. 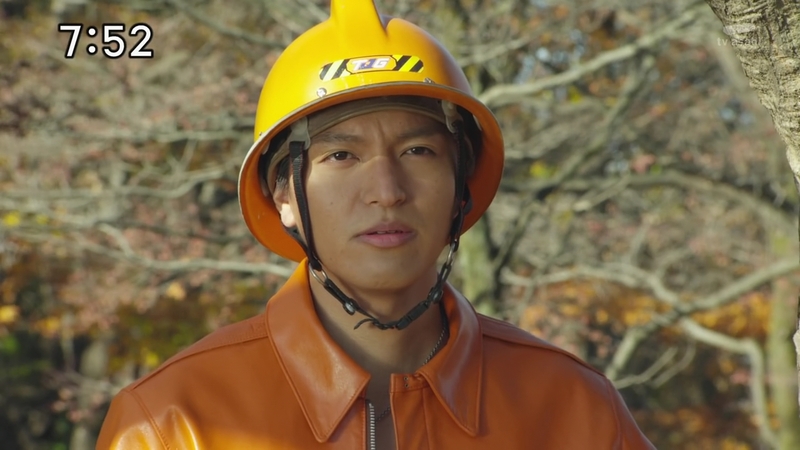 Hikari adds that they still can’t return to their homes looking like this. 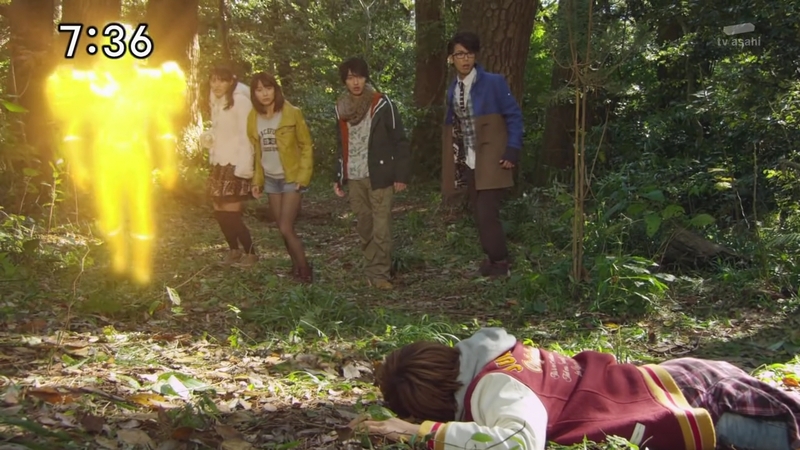 But even so, Kagura says, the town returning means everyone is safe. Kagura takes Mio’s and Tokatti’s hands. Mio takes Hikari’s. They smile. Right watches them from the Resshas. He asks President if the town really is saved. President explains that once a former Shadow Town has been saved, all the ill feelings will naturally go away, like a healing wound. But as long as the five of them are on the Rainbow Line, no one will remember them. 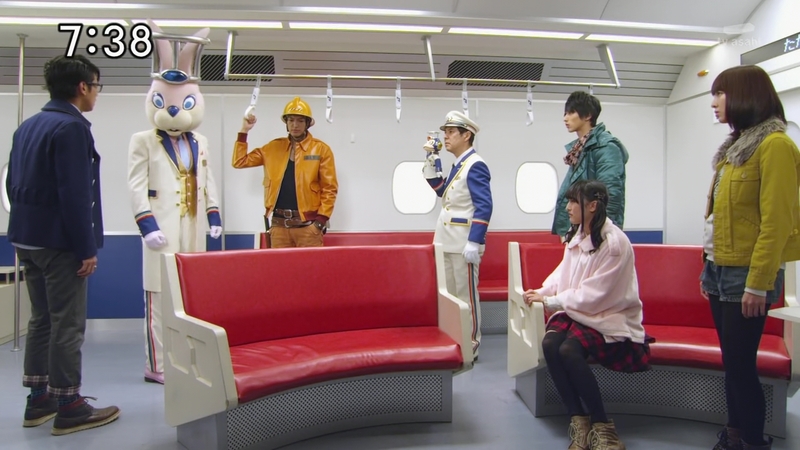 President excuses himself to return to Hyper Ressha Terminal to look more into their problem. But Right stops him to ask a question. Is there any way for them to return to being kids? Especially Tokatti-tachi who haven’t been as affected by the darkness. 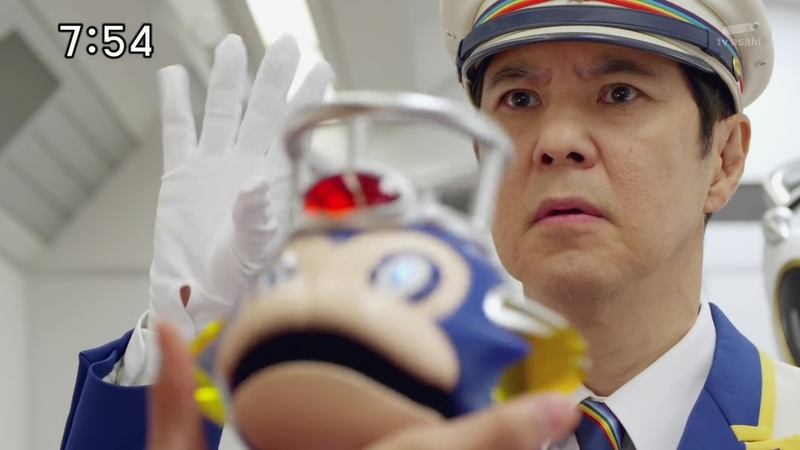 Conductor, Ticket, Wagon and Akira are taken aback. Back in Castle Terminal, Zett seems to take offense to Gritta feeling sorry for him. Gritta explains she believes sparkles are something you have to light within yourself. You cannot take it from others. Zett says indeed. The fact that Gritta can never be his is probably why she shines so much. He takes out his sword. Mork and Nero hear Gritta’s scream. Zett returns to the throne room and tells Nero to surface the Castle. They will now take over the world with darkness. Nero and Mork are both happy he has gotten over his sparkle addiction. 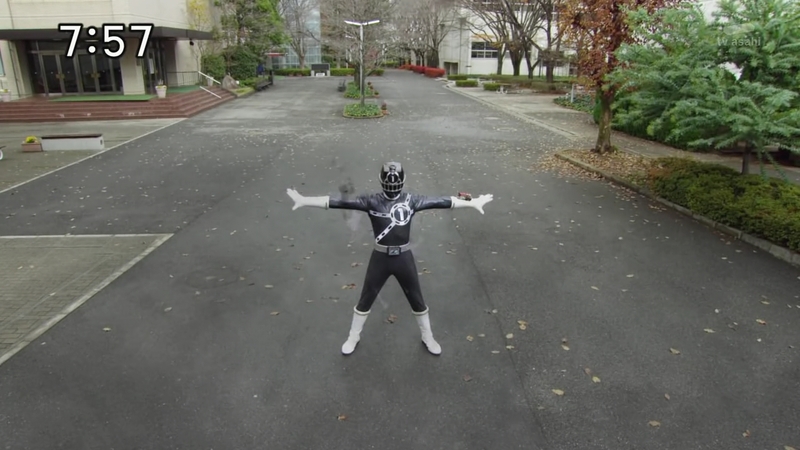 But Zett says he was nothing but darkness from the start. Mork announces to the army of Kuros that they are going to take over the world. Nero orders Castle Terminal to rise. 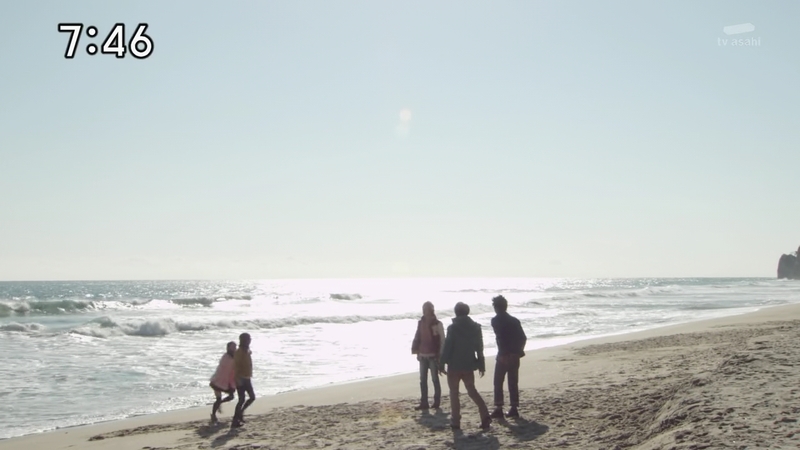 Tokatti, Mio, Hikari and Kagura are enjoying the seaside when Right arrives. 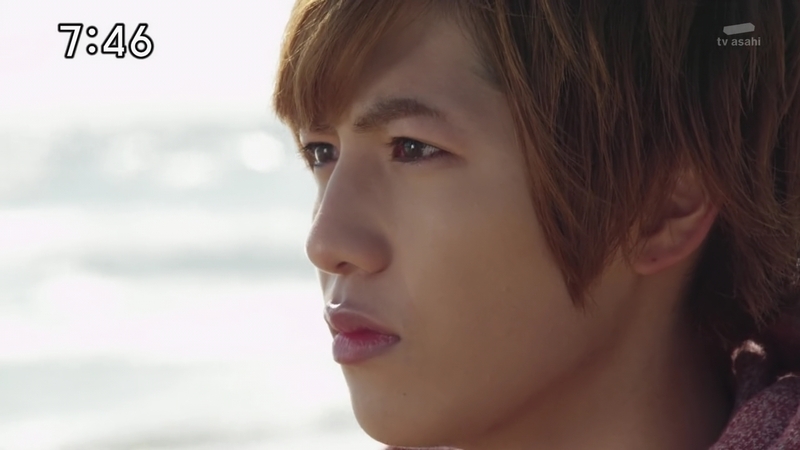 He solemnly looks at the sea before changing his expression and brightly asks the others to take their passes out. Right says President has found a good way to fight the Shadow. They take their passes out and Right takes them one by one. 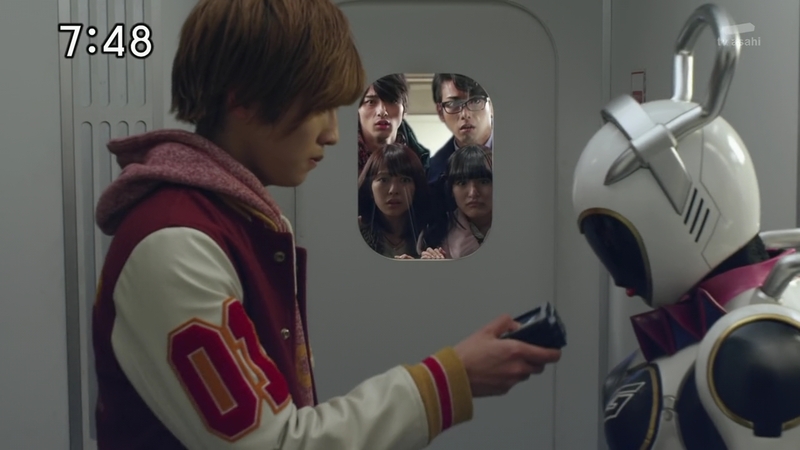 Hikari is not as willing to hand his pass over and is about to ask before Akira comes running in to tell them Castle Terminal has surfaced. That means something has happened and Gritta has failed. 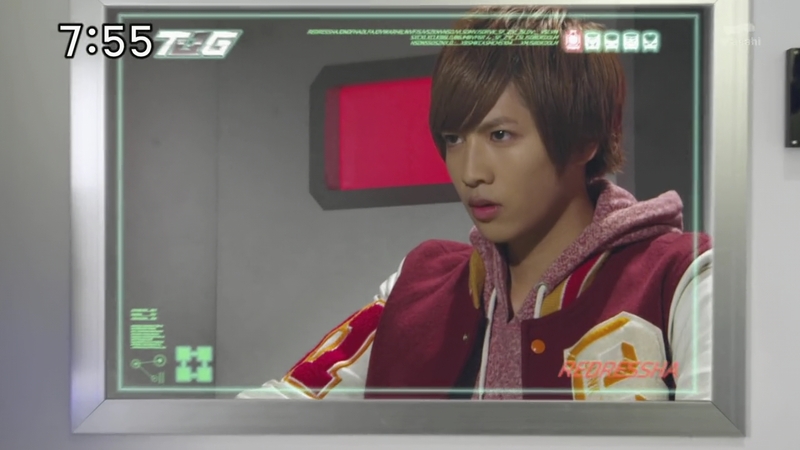 The ToQgers are shocked and saddened. While the others process what has happened, Akira gives Right a slight nod and Right acknowledges. Right turns to each of his friends. Ticket blows the Resshas’ whistle and announces they are about to depart. Right starts to run toward the Resshas, but first turns back to them. Right runs off and the others quickly follow. But the doors close as soon as Right boards the Resshas. The others bang on the door, demanding to know what is going on. Right hands the four passes to Wagon then waves at the others. The four can’t believe Right has decided to do this on his own. Ticket announces the Resshas are departing. 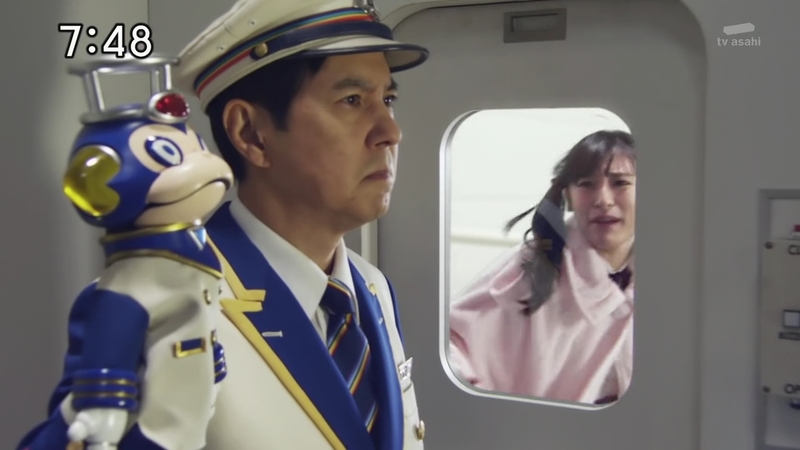 Kagura runs up to the control room window and begs Conductor to stop the trains. Conductor and Ticket look straight ahead, holding back their emotions. Wagon is at the potbelly stove. 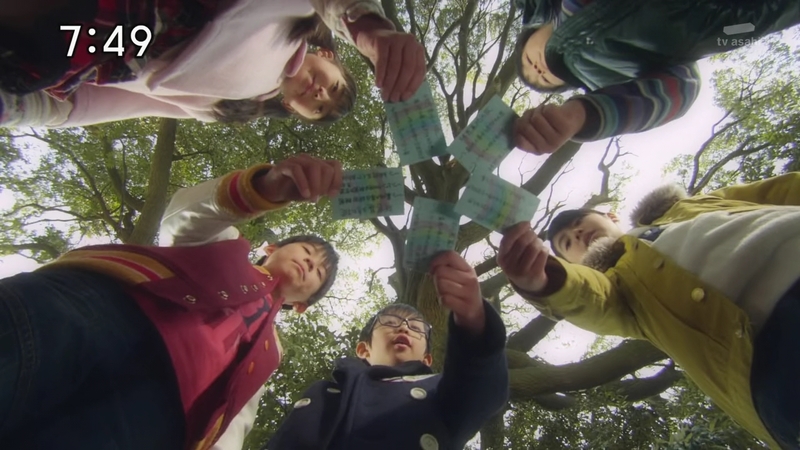 Holding the passes, she says that if the memories of them being ToQgers are gone, they’ll be able to return to being kids. Wagon holds the passes close to her heart before putting them into the fire. The passes disappear. 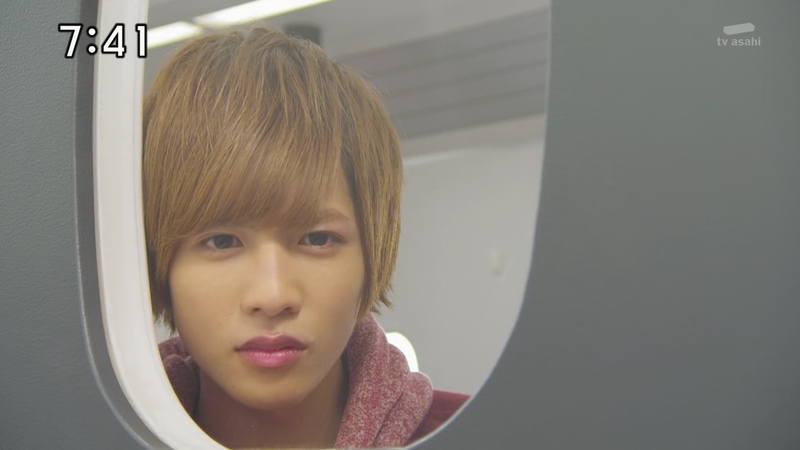 Right looks out the window as Tokatti, Mio, Hikari and Kagura run after the Resshas, calling after him. 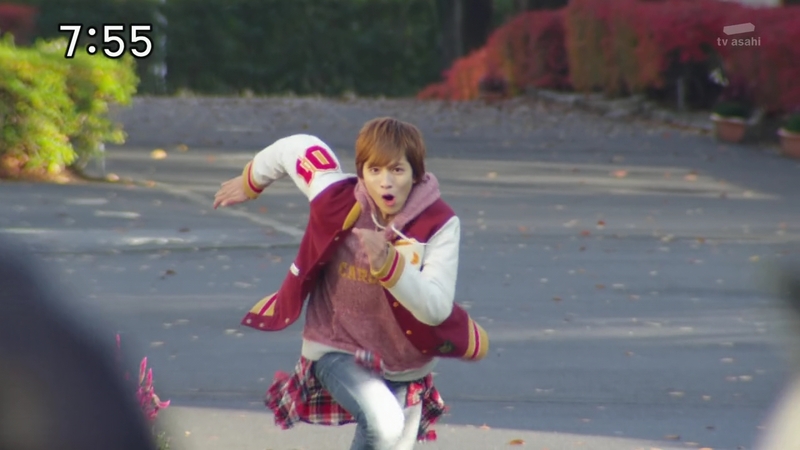 Suddenly, the four of them turn back into children as they continue running. 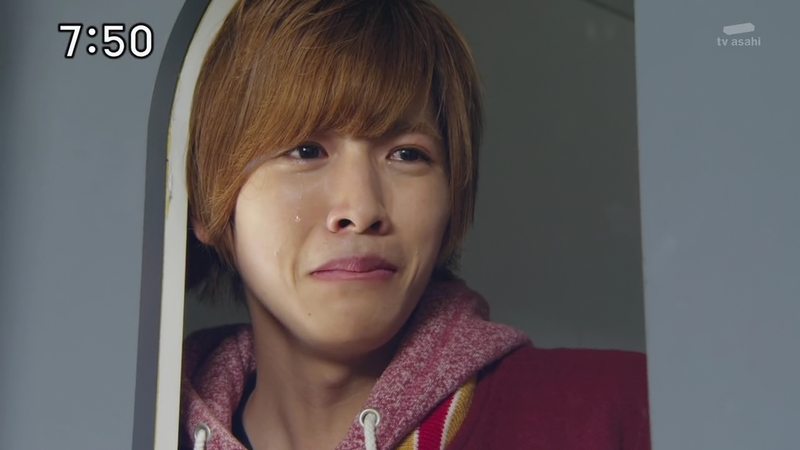 A crying Right tries to smile, but then remembers the first time they made their passes and came up with the rules. 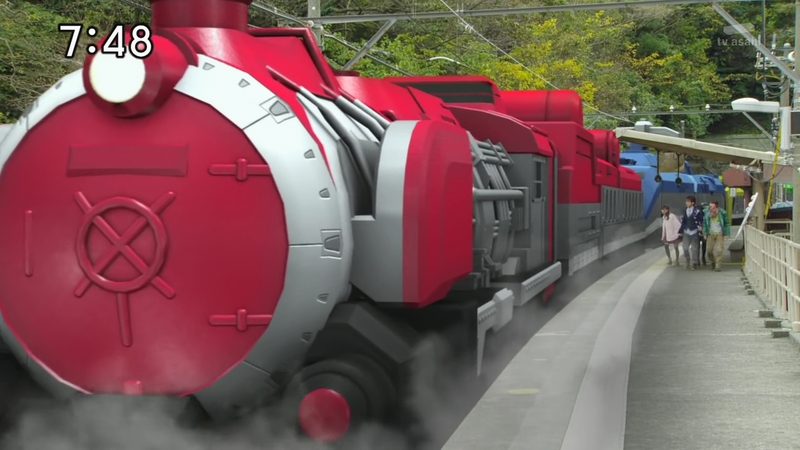 The Resshas pass the station platform and Akira runs after the kids. Akira tries holding them back as they cry out for Right. But they suddenly snap out of it. They are not sure why they are even here, nor who Akira even is. 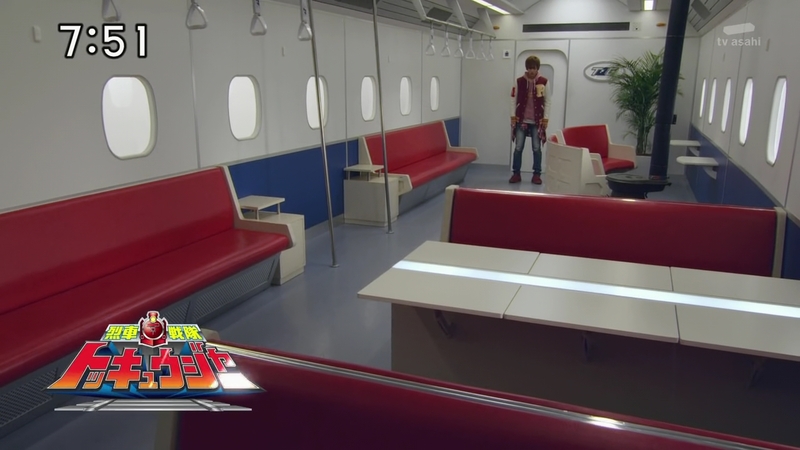 Right walks into the main car and is happy to see Tokatti, Mio, Hikari and Kagura waiting for him to come join them for lunch in the booth. But the memory disappears and Right is all alone. 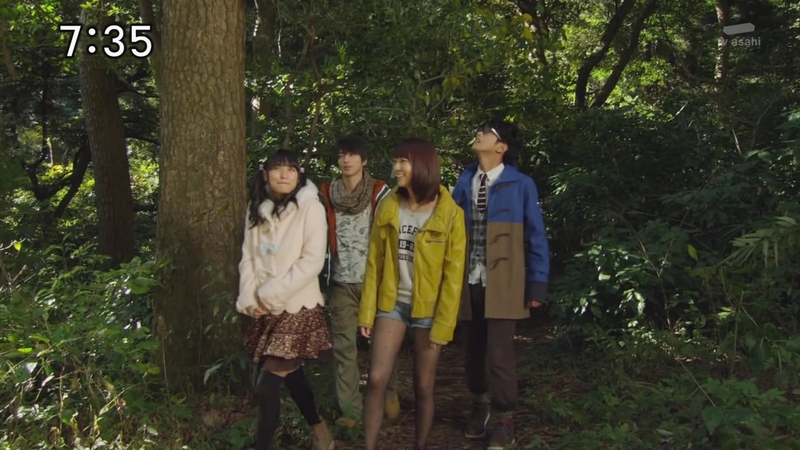 Akira brings the four back into town and they say bye to each other as they return to their respective homes for the day. Kagura runs into her family’s restaurant and her parents are happy to see her. 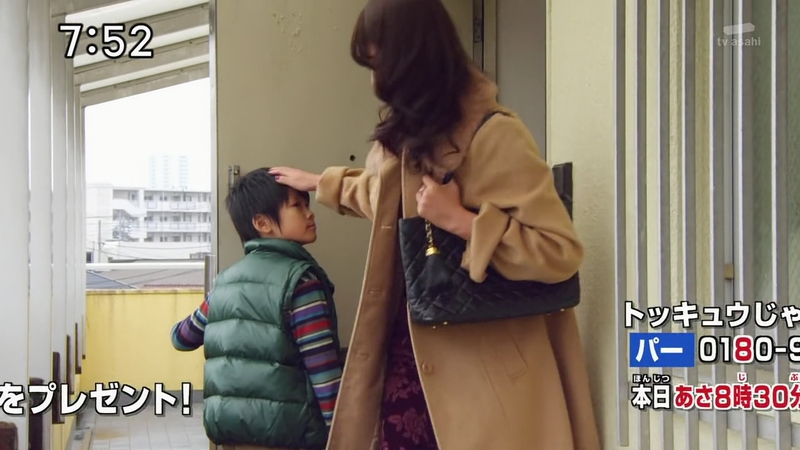 Hikari arrives home just as his mother leaves for work that day. 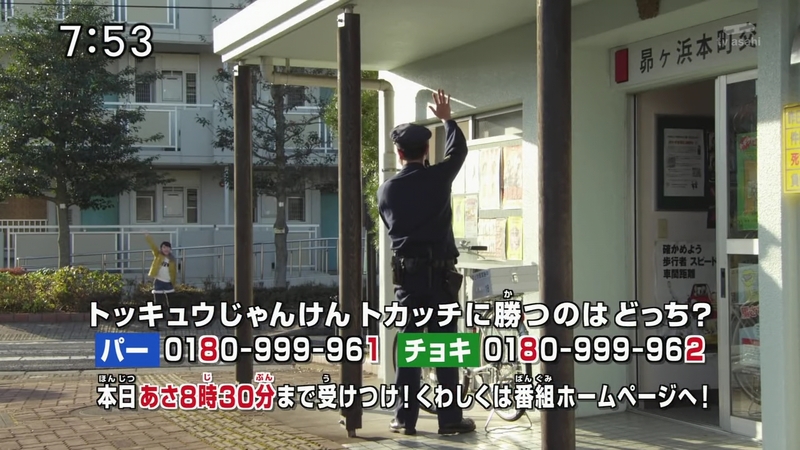 Mio meets her father at the police station as he gets off work. And Haru returns home to his brother who wondered where he’s been all day. Conductor says Right should visit his family while they wait for Akira. Right does not respond. Conductor and Ticket approach Right and Right jumps up to grab Ticket right off of Conductor’s hand. But Ticket continues speaking. Right returns Ticket onto Conductor’s hand. He says thanks, but he’s fine. The least he can do now is to prevent the darkness from ever reaching them again. Right shifts the Resshas into high gear and speeds ahead. 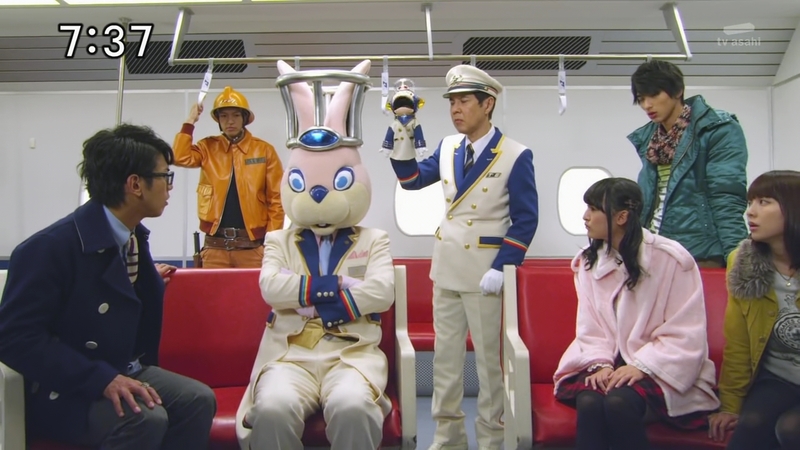 Conductor and Ticket call him since they were supposed to wait for Akira-kun. But Right maintains full speed ahead. 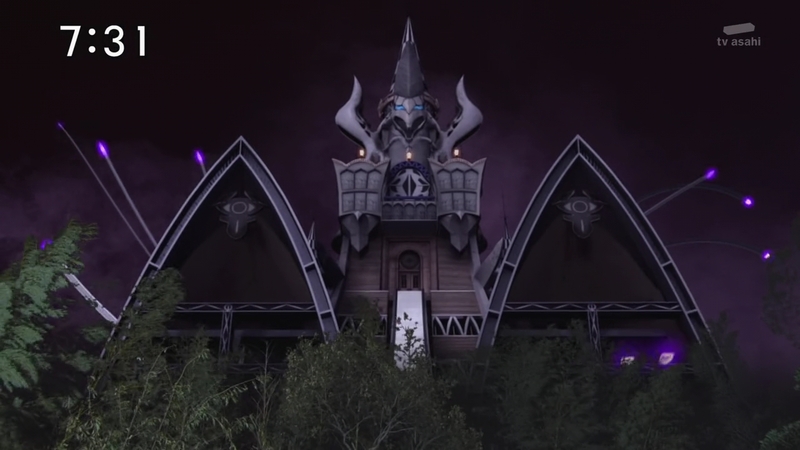 Nero and Mork see the Resshas approaching and they deploy from Castle Terminal with an army of Kuros. Right disembarks in front of them. The Kuros charge and Right runs right toward them. 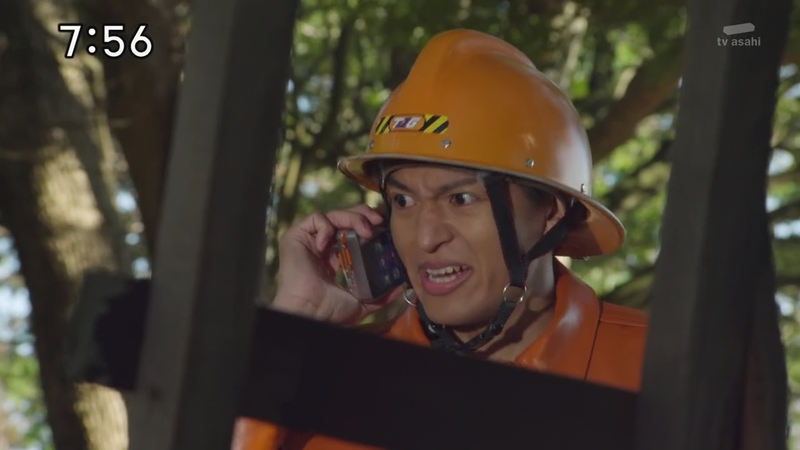 Meanwhile, Akira is at the Secret Base and has a ladder setup when Conductor calls to tell him about Right going ahead on his own. Akira is shocked. “So he lied to me too? !” He hurries. Right is fighting off the Kuros on his own. 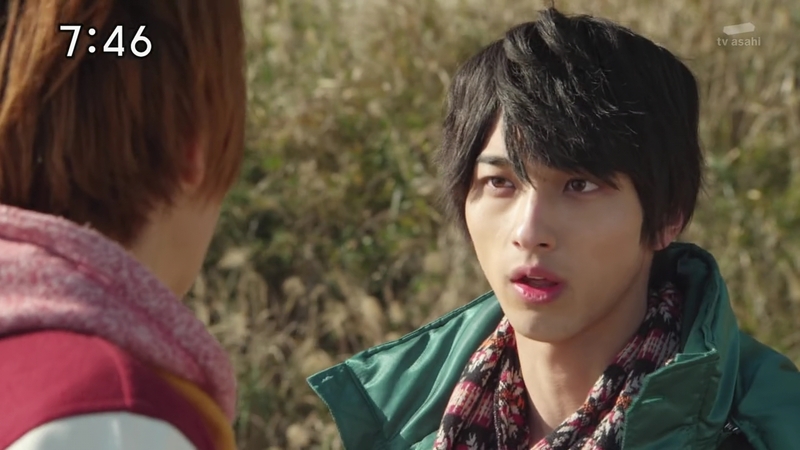 He apologizes to Akira, but he vows not to lose to darkness or the Shadow. 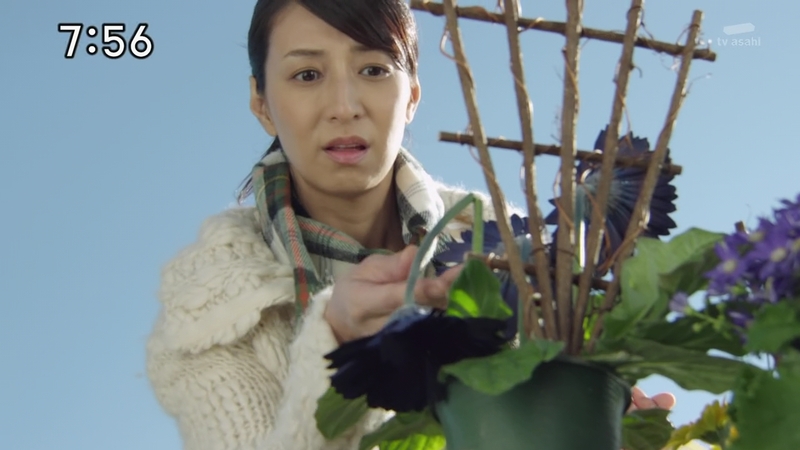 Over at the Suzuki home, while watering the plants, Right’s mother sees a flower is broken. She tries standing it up, but then gets pricked on her finger. Zett sits on his throne, vowing to crush Right and all the sparkles on Earth. Right henshins into Dark ToQ-1gou. One blast and he vaporizes the entire mob of Kuros surrounding him. O. M. G. OMG. Like seriously, WTF. How about Right’s mother and those omens. It was a double omen too. A flower snapped in half and then she gets pricked. They could’ve even knocked a glass over too. 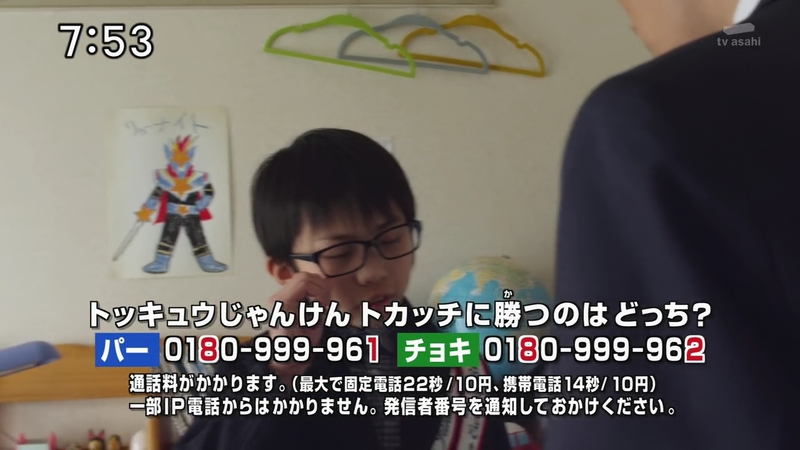 All of the scenes from the season where they intercut between the big ToQgers and little ToQgers have always been effective in tugging at the heartstrings. And it was absolutely the same in this episode. 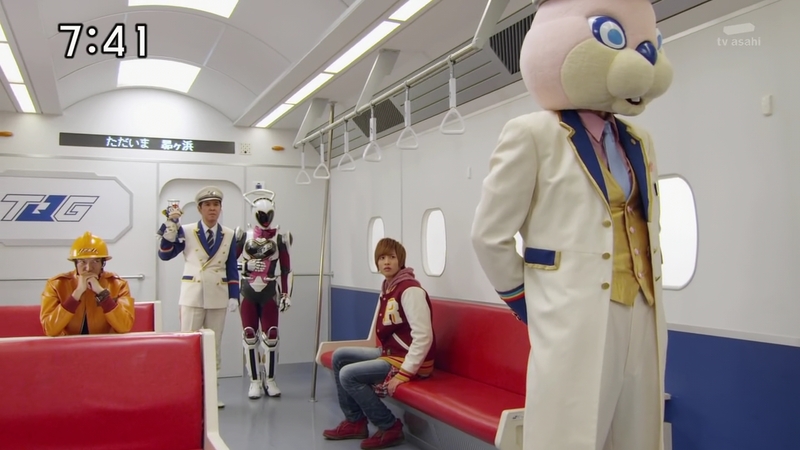 From the flashback again to the night of the festival to the ToQgers returning to being children as they chased after the trains and cried for Right. Just amazing all around. Amazing direction, amazing writing and of course, amazing performances from the cast. Both the big cast and the lil’ ones. Everything just came together perfectly. The entire season has developed and has led up to these incredible moments. Kobayashi did this same thing (twice!) on Go-Busters. Developing a story and the characters so she can knock you out with an explosion of emotions at just the right time. 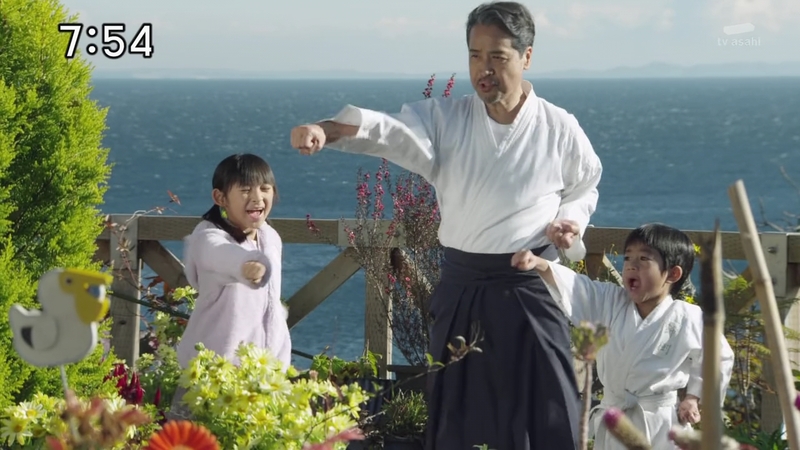 You wouldn’t care if the Go-Busters’ parents died, twice in the Subdimension if there was no growth and development leading up to those moments. 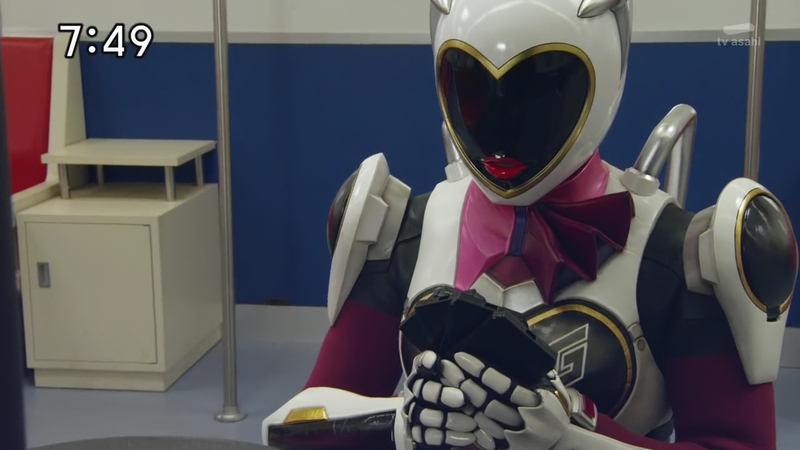 And that’s how it was here on ToQger. That moment Right said goodbye to his friends as they cried out to him would mean absolutely nothing if there were no foundation built over the previous 44 episodes. I actually think I love the fact that what’s wrong with Right is actually something simple and not some soapy, twisty kind of shock. 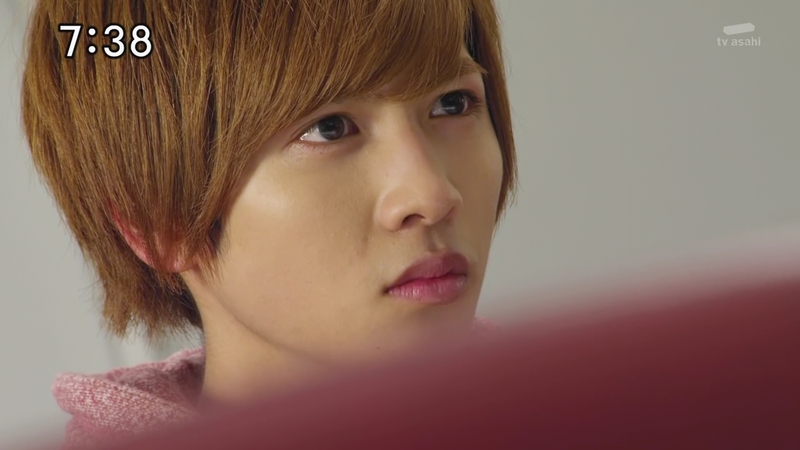 It’s not that Right bullied Zett or that Zett is his father or that Right and Zett are actually two halves of one person. Right now, it appears Right just simply has an incredibly huge Imagination that made him more susceptible to the corruption from darkness. And now in these final 2 episodes, we’ll see how Right will be able to overcome that and still win. That’s how I see it. It’s a simple concept, yet as we saw in this episode, it can be something much more, more emotional and profound, as long as it is written well. And Kobayashi has written it very well. Then we got the little moments. Right watching his friends. 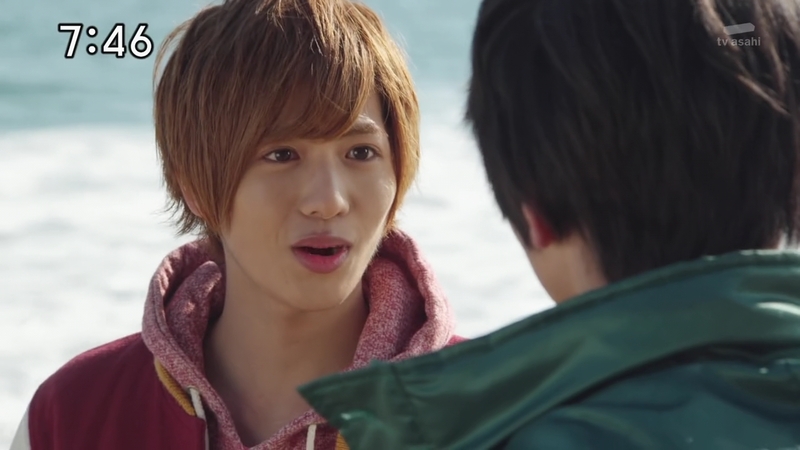 The ToQgers enjoying their hometown beach for the first time in a year. Conductor, Ticket and Wagon visibly fighting back their emotions. Just all beautiful. Like Mio pointed out on the beach, there’s a sense of nostalgia being there. This entire season had a sense of nostalgia and that was used so well throughout. Gritta is not dead. I definitely know that. Schwarz and Noire might have been knocked off easily, but Gritta is not about to get killed off-screen. She’s just too big a character and such a huge part of the story to get killed just like that. I look forward to seeing how she pops up in the future. Castle Terminal just rolling along on the water was very Miyazaki-like. Reminded me of Chihiro and No Face’s little train ride to Yubaba’s sister. Just awesome. This whole season has been awesome. I am dreading these last 2 episodes. I really do not want it to end. And I haven’t felt like that in a long time.